The Beyond Aviation Team has been corporately located in Englewood, CO where they were performing flight testing at Centennial Airport. The group has officially relocated to Rocky Mountain Metropolitan Airport in Broomfield CO. The team did initial ground testing of the propulsion system at Rocky Mountain Metro while aircraft build and flight testing was done at centennial. The remainder of flight testing will continue at Centennial but the team is looking forward to starting phase 2 design at their new permanent home in Broomfield. After a stepwise test program the Electric Cessna climbed up and off the runway today beginning the next phase of flight testing. 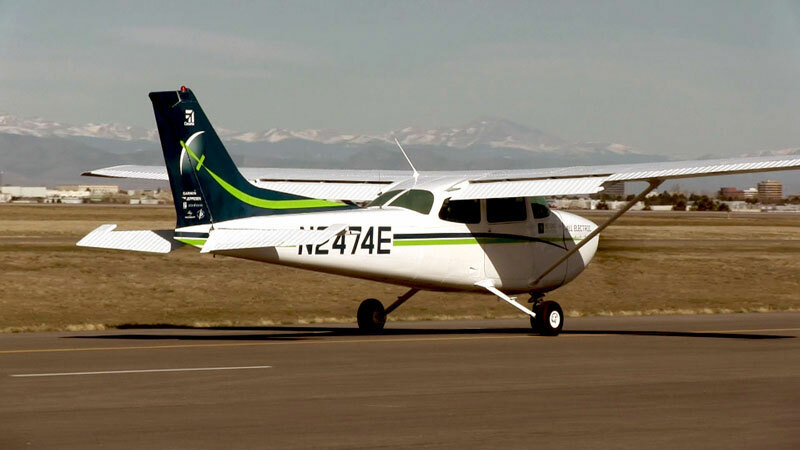 Utilizing the 10,000ft runway at Centennial the Cessna was able to climb up and out of ground effect gathering rate of climb data, efficiency data, and actual flight characteristics. The system performed better than expected eliciting excitement from the team and an eagerness to see just how well the electric propulsion system can do. The test program will progress to meet all engineering requirements before moving forward to the pattern flight. After acceleration and ground effect testing the electric Cessna in its final assembled flight configuration, successfully performed a full flight profile while statically tied down to the ground. This proved the battery capacity, motor power, thrust, and heating characteristics of the system are meeting calculated engineering expectations, and the system is capable of meeting all requirements for a full pattern flight. Though quietly performed on the ramp at Centennial Airport without the spectacle of onlookers, this test was an enormous milestone and the team?s spirit is set on flight in the near future! After testing the system handling and acceleration performance the aircraft lifted a few feet off the runway into ground effect today at Centennial Airport in Englewood, CO. Though only a few feet off the ground before landing again, the team cheered. This was a major step in the program. The tests will continue to verify performance of the aircraft, gathering engineering data for the next phase of flight of the Electric Cessna. 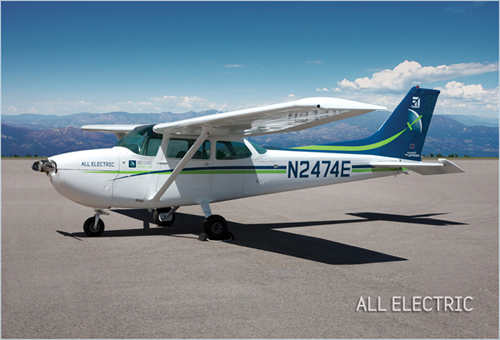 The electric Cessna took to the runway today and began thrust to acceleration testing. The system performed as expected per engineering analysis. Acceleration testing shows the handling of the aircraft after reassembly, the power, thermal and thrust characteristics of the electric propulsion system. The team will now begin a series of tests to verify engineering assumptions along with data gathering.